On Friday night at 10 p.m. ET, the Pebble Time ended its month-long crowdfunding campaign with over $20 million in pledges, making it the most funded Kickstarter in Kickstarter history by roughly 7 million dollars. That's not the only Kickstarter record Pebble's second-gen smartwatch recently set. 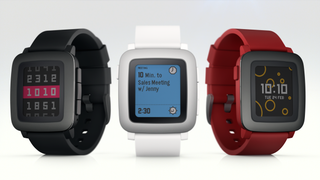 Within 20 minutes of launching, Pebble Time had met its goal of $500 thousand. And as donations continued to pour in, the smartwatch became the fastest project to raise a million dollars—in just under 50 minutes. That's not to say that little guys can't still make it big on platforms like Kickstarter and Indiegogo. Indeed, the previous Kickstarter record holder, Coolest Cooler, is a posterchild for crowdfunding's DIY roots, hailing from a Portland-based entrepreneur who failed many times to meet a modest goal before raising more than $13 million from over 62 thousand people. Still, the question of whether wealthy, investor-backed companies have a place on crowdfunding websites at all is an interesting one that hasn't been deeply explored. Will the likes of Pebble Time and Spike Lee help smaller enterprises out by raising the visibility of crowdfunding platforms across the board, or will their successes end up sidelining the indie videogame designers by attracting more of our limited disposable income? Share your thoughts in the comments below.